November 26th is going to be a date of much sorrow similar to November 12th, when Stan Lee was called to Heaven above with the likes of Jack Kirby and Joe Simon. You can argue that Stan Lee literally created a universe, a feat that many a comic publisher envies but hasn’t come close to, one man responsible for some of popular culture’s largest super heroes. Yet, while Stan Lee remained ever faithful to the brand he created, so did Stephen Hillenburg. Hillenburg, the creative overlord of the venerable SpongeBob Squarepants franchise for nearly 20 years, passed away from ALS at just 57 years old. In a way, Hillenburg too created an entire universe from scratch. Of course, his path there took a bit of a left turn to continue forward. He was a former marine biology teacher, even for just a couple of years, who was fueled by his passions for both marine life and art. Though he graduated with his Bachelor of Science in Natural Resource Planning and Interpretation in 1984, he decided to pursue his passion for the creative arts. He enrolled at the California Institute of Arts in 1987, graduating with his Master of Arts in 1992. Within a year he was heading towards his calling in animation and away from teaching in a classroom. 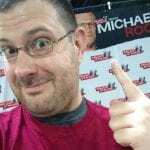 He first developed early ruminations for his characters between 1993 and 1996 while working as a director and writer on the Nickelodeon staple Rocko’s Modern Life. The Joe Murray-created cartoon was borderline edgy with humor more meant for adults than children. By the time that SpongeBob Squarepants debuted on the small screen in May 1999, audiences were starved for a cartoon that pleased all ages. No one could have foreseen the show still running strong in 2018, creeping up on 250 total episodes and earning numerous award nominations. The franchise is also bolstered with two international hit films alongside a Tony-nominated Broadway musical. And yet, without a cartoon like SpongeBob Squarepants having ever been created, this 34-year old man – or any of us – would not be the same. I’m a Goofy Goober, yeah – but we’re all Goofy Goobers. SpongeBob Squarepants filled the void of unadulterated cartoon entertainment, and then some. Each story was simple in nature, yet absolutely nonsensical and brazen. SpongeBob was as bright as a dim light bulb yet purely innocent, his best friend Patrick a doofus man-child who wished never to grow up. SpongeBob didn’t work in an office. He was a fry cook by trade, not even attaining proficiency at driving behind the wheel yet. He and Patrick were both kids at heart, content with horsing around and just having fun, enjoying the most of their basic lives. SpongeBob’s credo in life was F.U.N. – “F is for friends who do stuff together, U is for you and me, N is for anywhere and anytime at all, down in the deep blue sea.” Every generation has a cartoon that they can latch onto, despite the goofiness of the essence of the show. SpongeBob wasn’t just a dopic do-gooder that kids could giggle, no no. Adults too found themselves infatuated with the mature thematic material presented by the creative minds. Even as the show carried on and I continued to watch Nickelodeon’s darling when I could, between working overnights and attending college classes, what really suckered me into the franchise was 2004’s The SpongeBob Squarepants Movie. The movie may have been billed to kids – but played more to adults. To kids, they’re eating ice cream. To adults, they’re actually getting wasted. SpongeBob Squarepants will always be the champion and mascot for innocence, not living in naivety on purpose but just living as a creature of good intentions. So when the movie was released, Stephen Hillenburg (who wrote and directed the film) went in a bit of a different path. The manic antics of the characters may have trumped the simplistic story, but the central message wasn’t hard to ignore. SpongeBob was due for a promotion at work, after years of toiling away behind the scenes to develop himself as a professional. So when the cantankerous and inattentive Squidward is awarded the position, SpongeBob feels humiliated. He ends up at his favorite ice cream shop, where he keeps eating sundae after sundae, eventually becoming so “wasted” he wanders into work and goes off in a wild tangent. Of course, once the mad plotter Plankton takes off Bikini Bottom, SpongeBob and Patrick amble off to regain King Neptune’s crown from Shell City to prove to their friends they’re not immature children – but real men who are reliable and trusting. Say what you want about the movie’s plot. Yes, the plotline is fairly common and seen before by audiences. However, the amount of heart poured into the movie’s core is what makes the 2004 movie so much more than just another animated folly. SpongeBob, a virtuous bleeding heart, is driven by a screwy sensibility. He’ll do everything possibly to make everyone happy, even a stranger on the streets. Really though, wouldn’t we do the same in his shoes? Get denied a promotion we’re convicted is ours for the taking, drown our sorrows by plopping our keister at our favorite bar, forgetting our troubles for a while and getting lost in a pint or whiskey glass. Sure, I laugh every single time SpongeBob and Patrick indulge in a bubble party at the biker bar during their pilgrimage. At the film’s center lies a story of personal struggle, of seeking acceptance of our dedication to our craft, of wanting to be recognized for all we do for others. Many a film not created by Pixar dreams of trying to balance humor and heart. Hillenburg captured that symmetry in his first try. Not only has the franchise woven adult themes and absurdist humor together, but left a huge mark on popular culture. The various quotables uttered by the show’s many colorful characters. Think of some of them, you’ll then realize quotes you use with friends were actually from SpongeBob Squarepants all along. The way we slowly say “Hhheeyyy.” “I’m rreeaaddyyy!” “Hooplah!! !” “I will destroy all of you.” “No, this is Patrick. …no, this is Patrick!” And even more that I could rattle off, taking up an entire article on their own. Then there’s the memes, most famously of which is Surprised Patrick. You can take the GIF of Patrick, his mouth agape and mannerism aghast, and insert into any moment. There’s a treasure trove of memes out there on the Internet, but none as glorious as the original. The original Surprised Patrick is still the best of the best. To me, I could and still can identify with SpongeBob Squarepants. As a young, now nearly middle-aged, adult I shouldn’t have been able to identify with the character. Yet something about his nuances rang true to me. How he would bend over backwards not just for friends but for everyone. How his unwavering determination would never dissuade him when a roadblock emerges ahead. His loyalty to his family, concocted of his closest friends in life from diverse backgrounds. Above all, SpongeBob’s optimism about the future is what stands out most. He doesn’t let his failures define who he is. Anyone can fall down, but to dust yourself off and try and try again is the sort of approach we wish we could carry out. We get worn thin about stresses, failures, and setbacks but if anything SpongeBob has taught me that you keep going forward one step at a time, no matter what life throws at you next. SpongeBob Squarepants is a show I won’t abandon either. The show has no end in sight and has the right creative team in place to carry on Stephen Hillenburg’s legacy for years to come. Nickelodeon won’t cancel the show either; the property is still the biggest draw on the network to this very day. 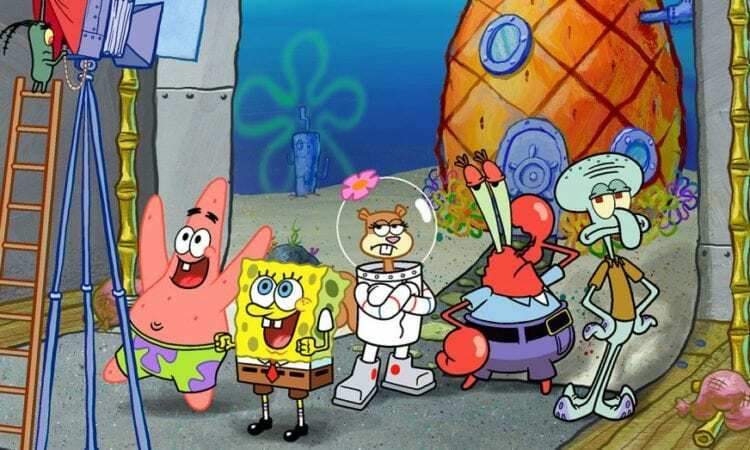 Besides, with the younger generations fascinated with the NickToon classics of the 1990’s, SpongeBob will find itself at the forefront of the new retro revolution – even though the show still produces new episodes. People may not share the same sympathy for Hillenburg’s passing as much as Stan Lee’s – you can’t compare the two in any way possible – but both men have left behind a legacy that has changed the face of popular culture. I’m just thankful that Hillenburg’s optimistic universe was able to leave a mark not just on kids but we adults as well. Rest in peace, Stephen Hillenburg. The millions of SpongeBob Squarepants fans will never forget what you’ve left behind.